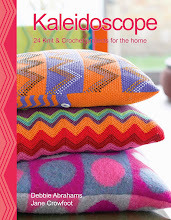 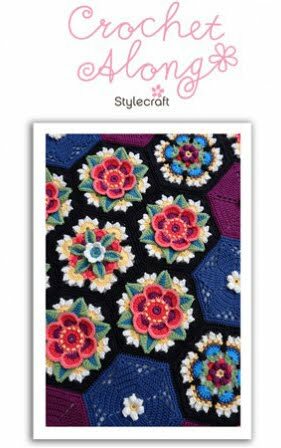 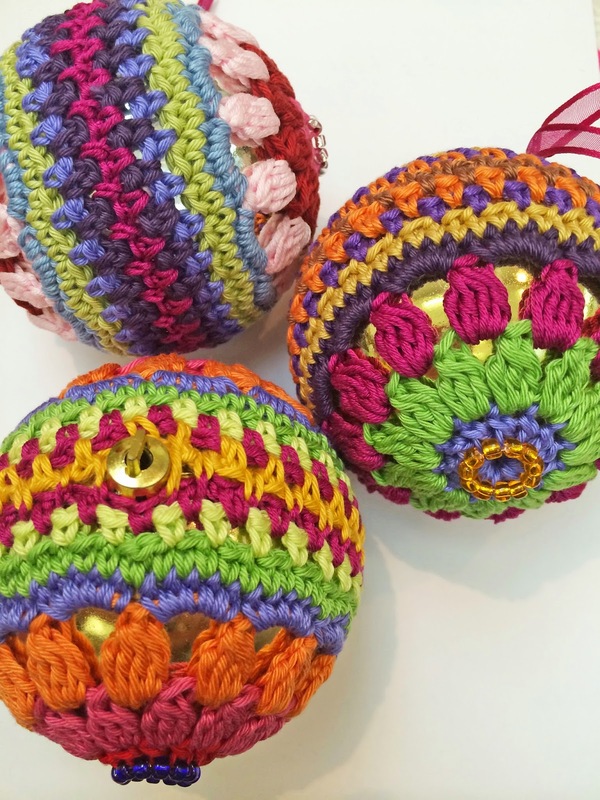 knit & crochet design: Christmas is coming…..
Every single year Christmas creeps up on me out of nowhere! 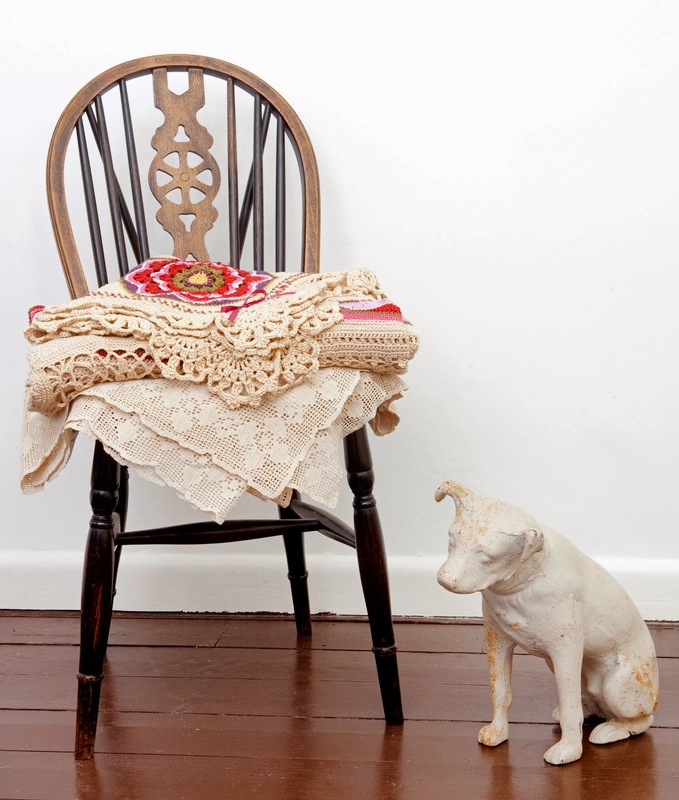 It doesn't seem like more than a couple of weeks ago that I sat and looked at the diary and counted 12 weeks until Christmas and now here we are with just over 4 weeks to get everything sorted and ready for the big day! 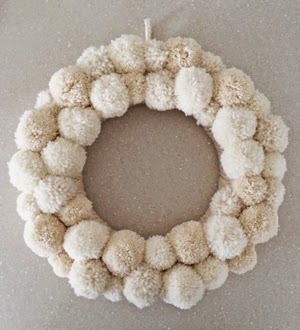 I love Christmas and always plan to do far too many things in the lead up to it, most of which never materialise, but this year I have been a bit organised and managed to sort out a crochet bauble pattern and a step by step blog posting for making a really easy pom pom wreath. 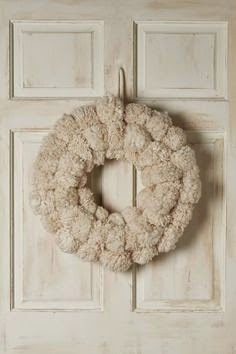 Whilst perusing their store on line recently I came across these wonderful pompom wreaths, but with a price tag of £118 I knew they were way out of my budget. 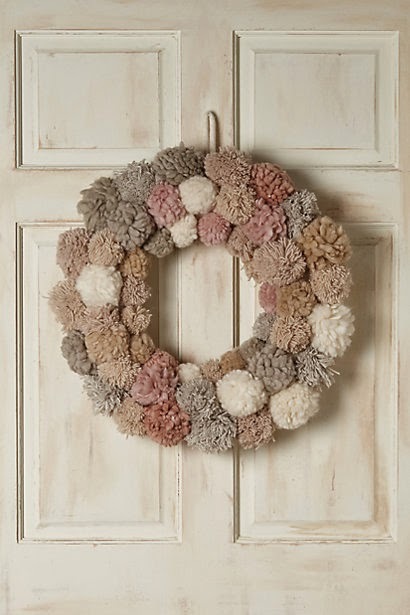 Pom poms are incredibly easy to make, especially with some of the new Clover Pom Pom Makers and they are a great way of using up bits and bobs of old yarn, so I decided it couldn't be too hard to make my own version of the Anthropologie wreath. 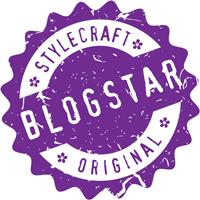 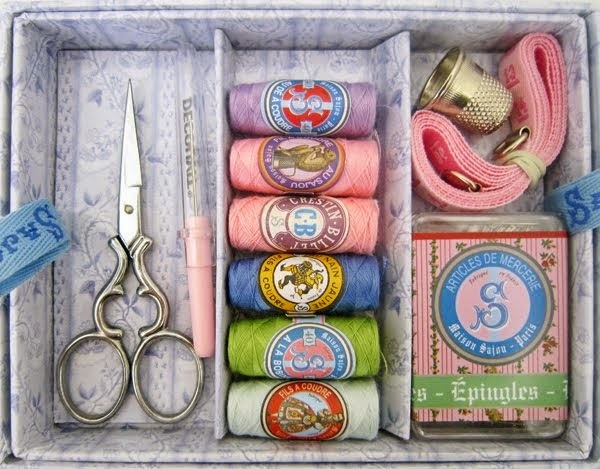 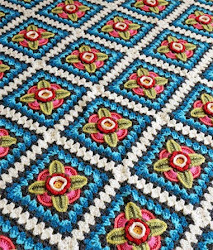 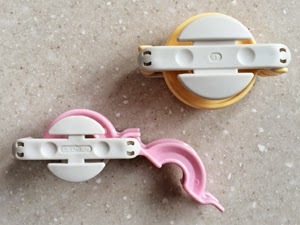 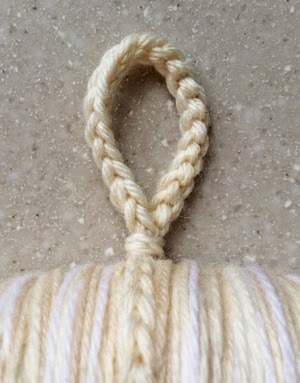 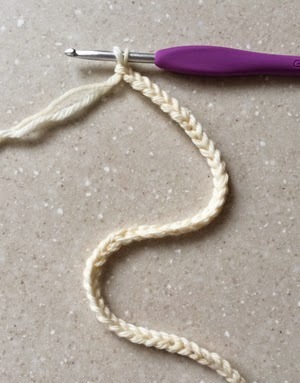 I'm really pleased with the results and thought it would make a great blog tutorial - so here goes! 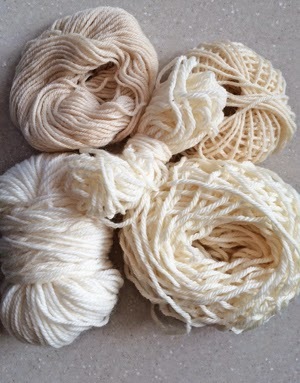 You will need a selection of yarns - I used various brands and weights because I wanted to have different textures and shades within the mix of cream pom poms. 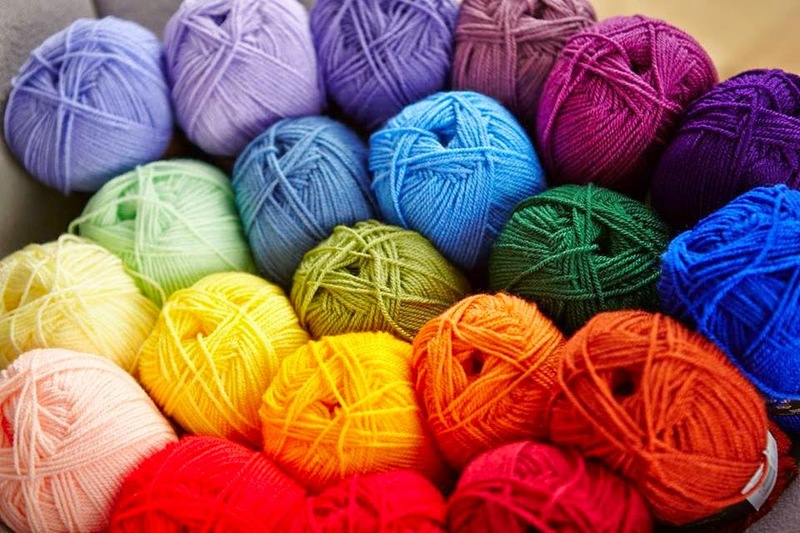 This project is quite yarn hungry so make sure you have plenty. 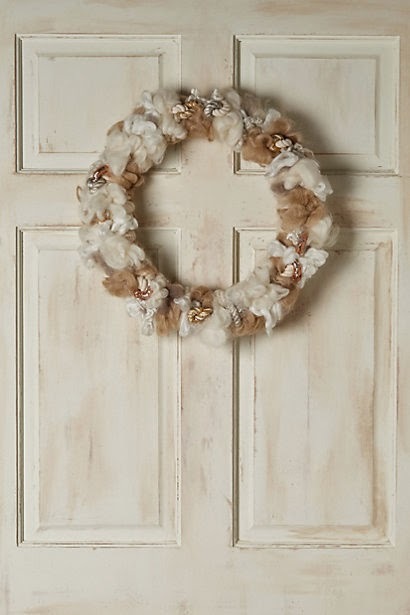 You will also need a polystyrene wreath form - I got mine from Hobby Craft. 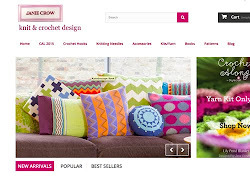 There is a great choice on their web site - I bought the 300mm size for £3. 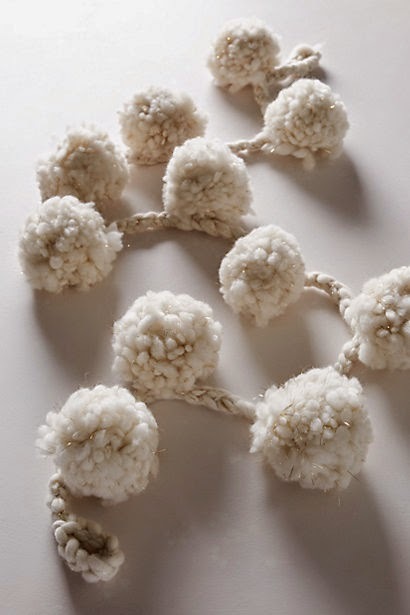 The first thing I did was make the pom poms. 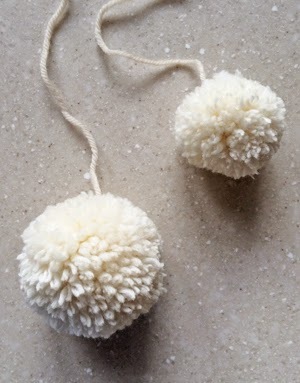 I made 2 sizes using the 'Small' size Clover Pom Pom Makers (there are 2 in a pack). 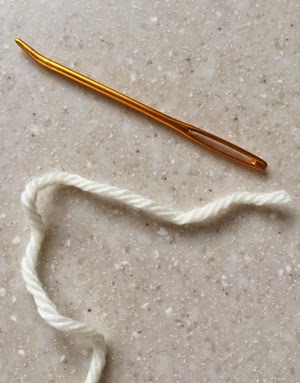 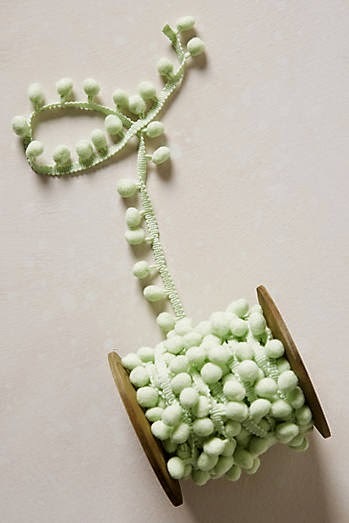 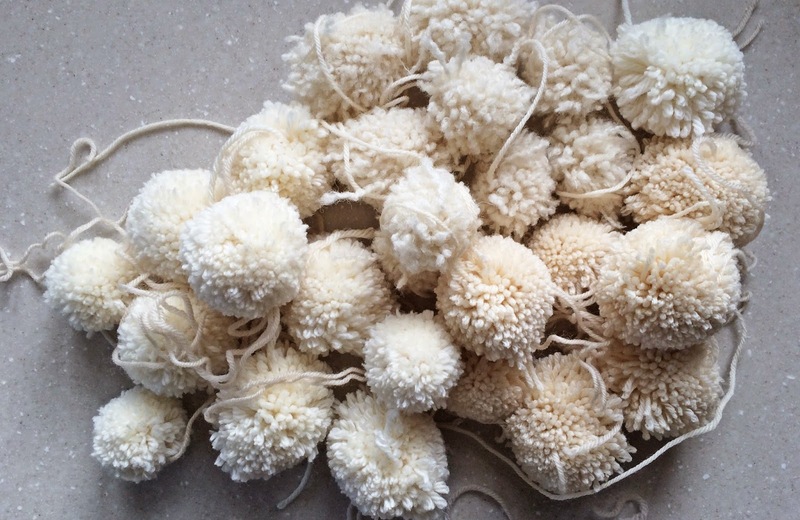 Each pom pom needs to be trimmed into a nice shape and you will need more than you think! 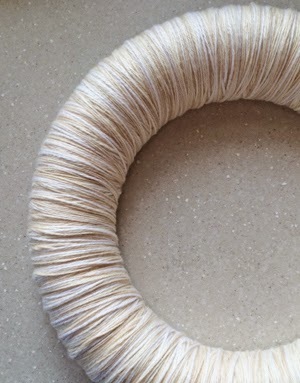 Using a few strands held together, wrap the yarn around the polystyrene ring. 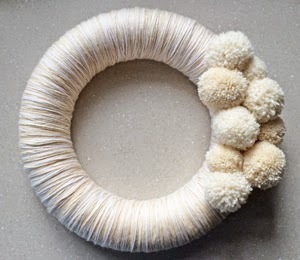 Using a knitters sewing needle sew the pom poms in place on the front of the wreath form, sewing through the wrapped yarns and securing at the reverse. 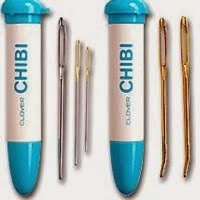 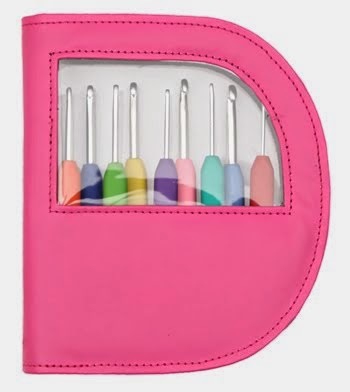 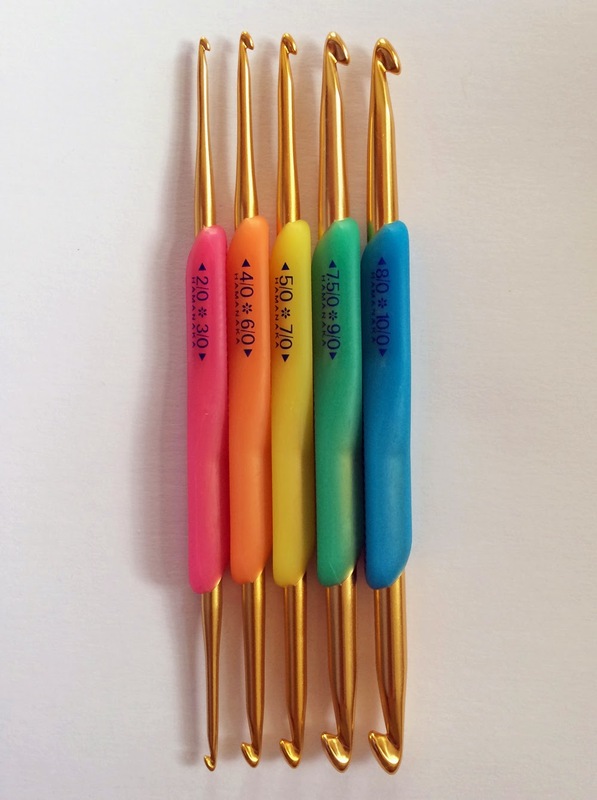 I used a Clover Chibi needle as it has a slightly bent end which makes sewing at unusual angles much easier. 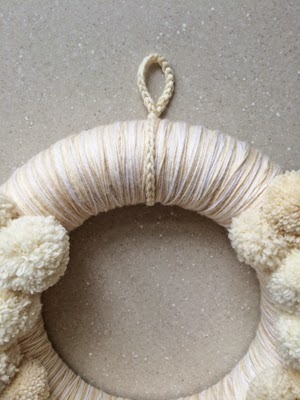 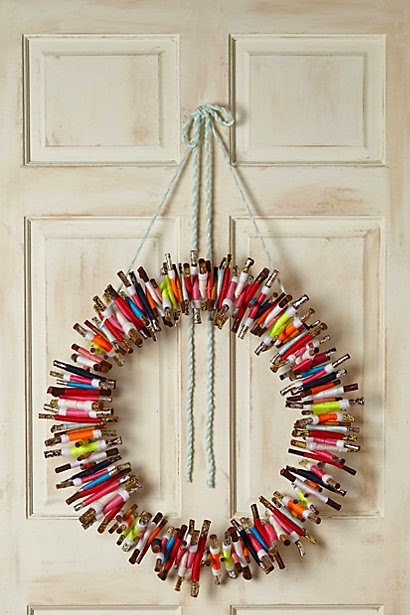 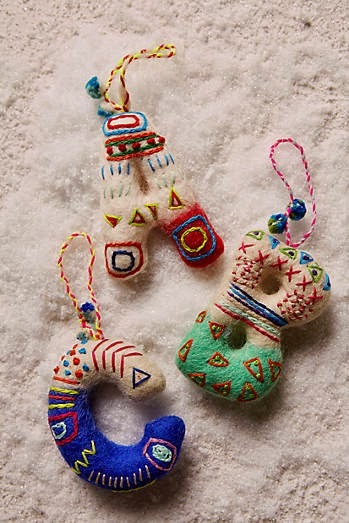 Once you have filled three quarters of the wreath, make a hanger by crocheting a chain long enough to loop around the wreath and tie or sew in pace to form a loop. 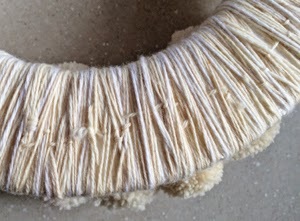 Again I used a few yarn strands held together. 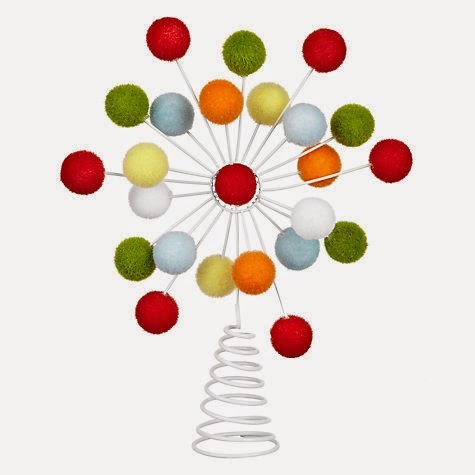 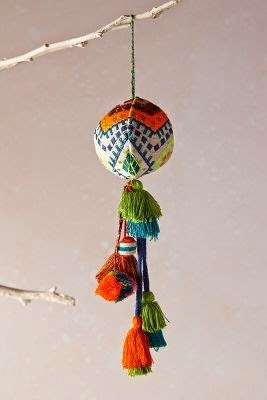 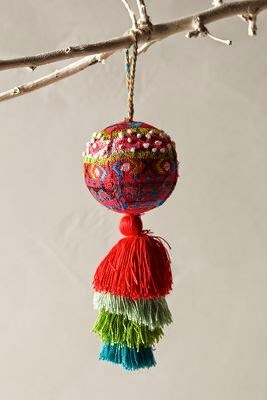 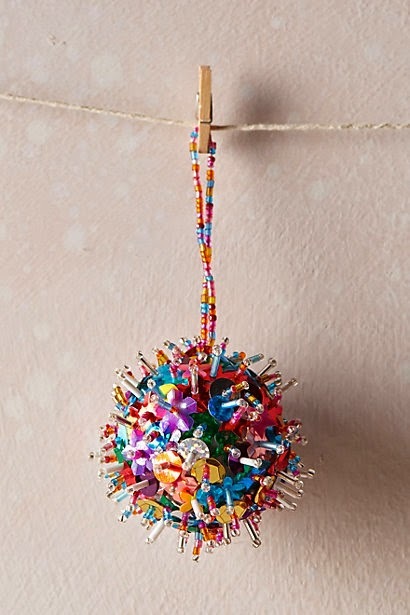 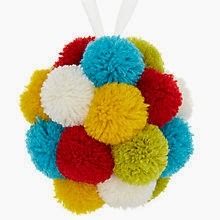 John Lewis have some great pom pom related stuff in store too, such as the multicoloured bauble below and the fab pom pom tree topper. 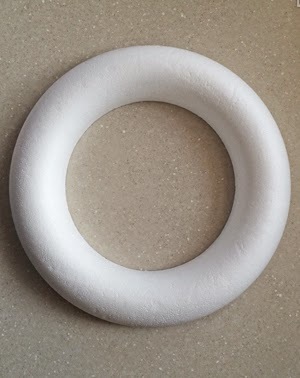 I have another polystyrene wreath form and hope to make a multi coloured wreath over the next few weeks. 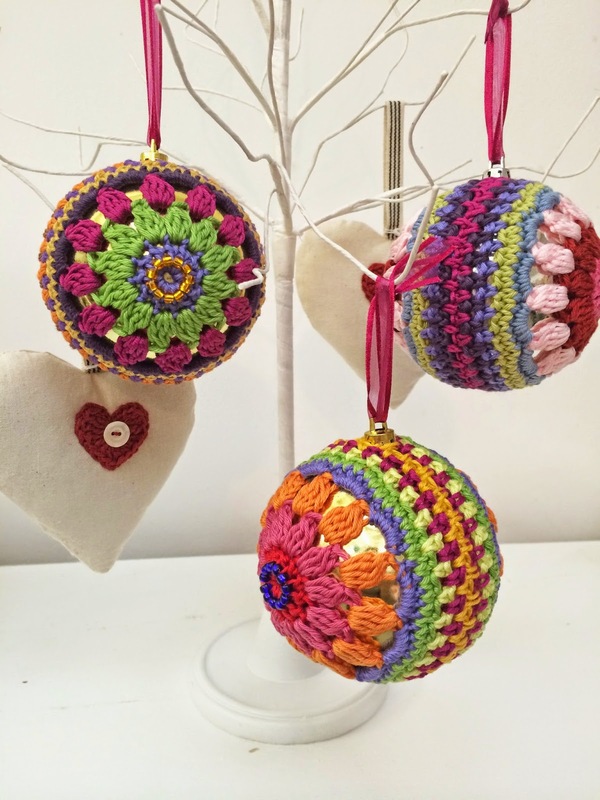 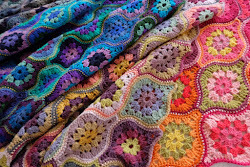 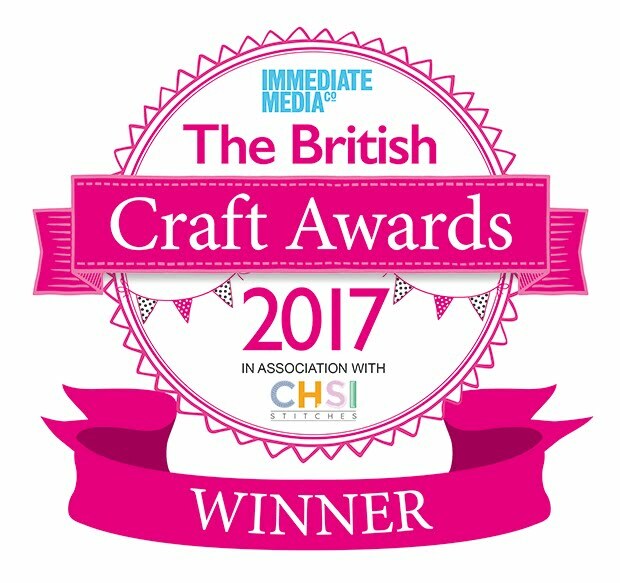 If I do manage to do it I will put the images on the blog, but for now I am going to have a few days rest from making pom poms!